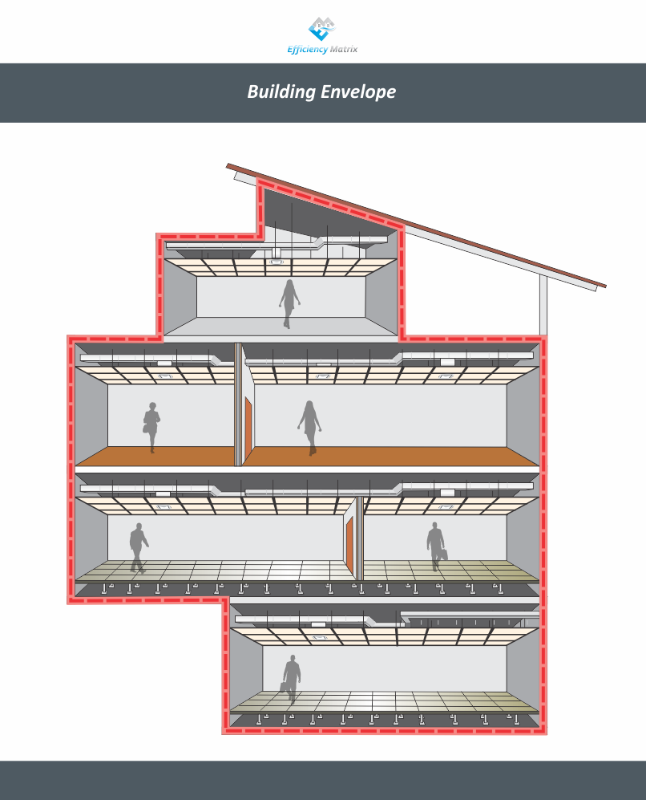 It’s a very common question so we thought we might answer the question of “What is the Building Envelope?” and while we are at it, show you where it is generally located. However, in this article, we focus on the building physics side of the building envelope. 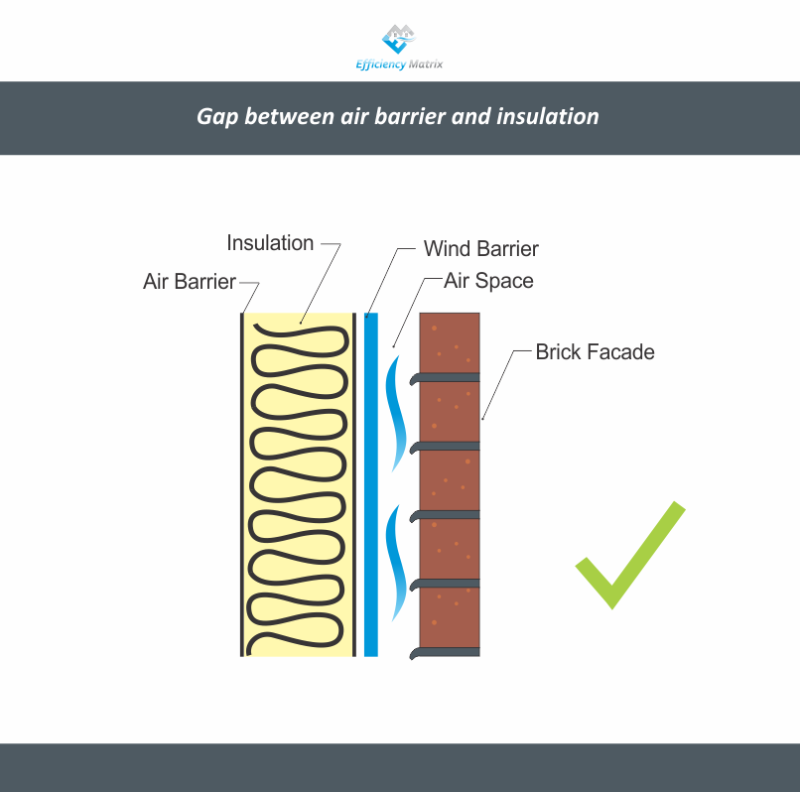 The building envelope otherwise known as the air barrier is defined in the section of the building fabric that separates the inside air volume from the outside environment. 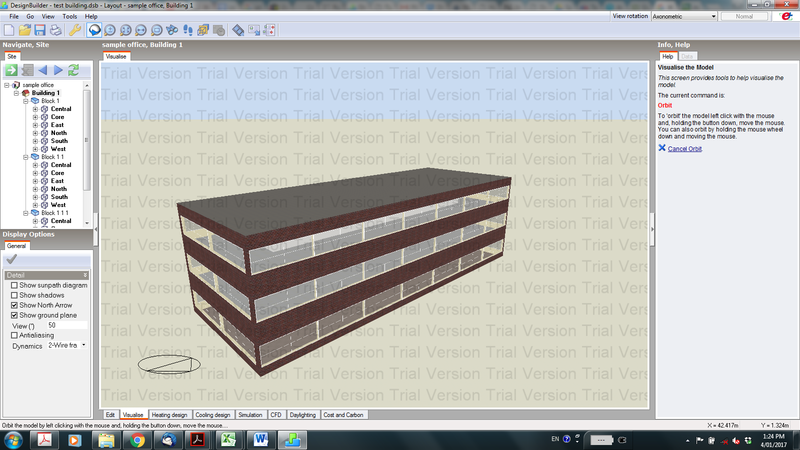 It includes the floor of the bottom floor, the walls/window facades and the ceiling of the top floor. Connectivity of the building to the ground is also considered outside. It’s important to understand where your air-tight envelope is located. False ceilings and false floors are NOT where your air barrier is located. The air barrier MUST also be accompanied with the insulation barrier as well. As an example, a commercial building with a metal deck roof and ceiling tiles would need to undertake remediation works behind the false ceiling to improve the overall performance of air tightness. Pressure testing should be conducted with ceiling tiles removed, to allow air pressure to spread evenly behind the false ceiling. Reduction in the volume of air that requires conditioning which reduces heating and cooling costs. Reduction in the size of HVAC/Air conditioning systems required. 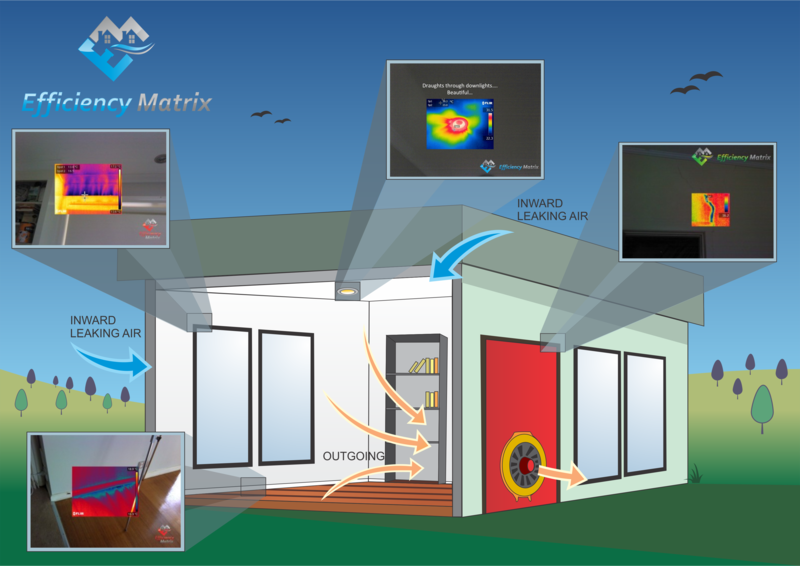 The Air barrier and thermal barrier need to be thoroughly and consistently in contact with each other. The same issue can occur in roof detail. Some people assume that the airtightness layer is from the false ceiling, and some contractors may try to caulk ceiling tiles in, to improve the airtightness of the building envelope. This is not a solution, and you should seek an experienced contractors advice who specializes in air tightness and the integrity of the building envelope. Air leakage testing with Blower door testing. Air leakage testing otherwise known as Blower Door Testing or fan pressurization testing allows us to test a building for air tightness scientifically, and produce a number which can be used to compare buildings, build quality. 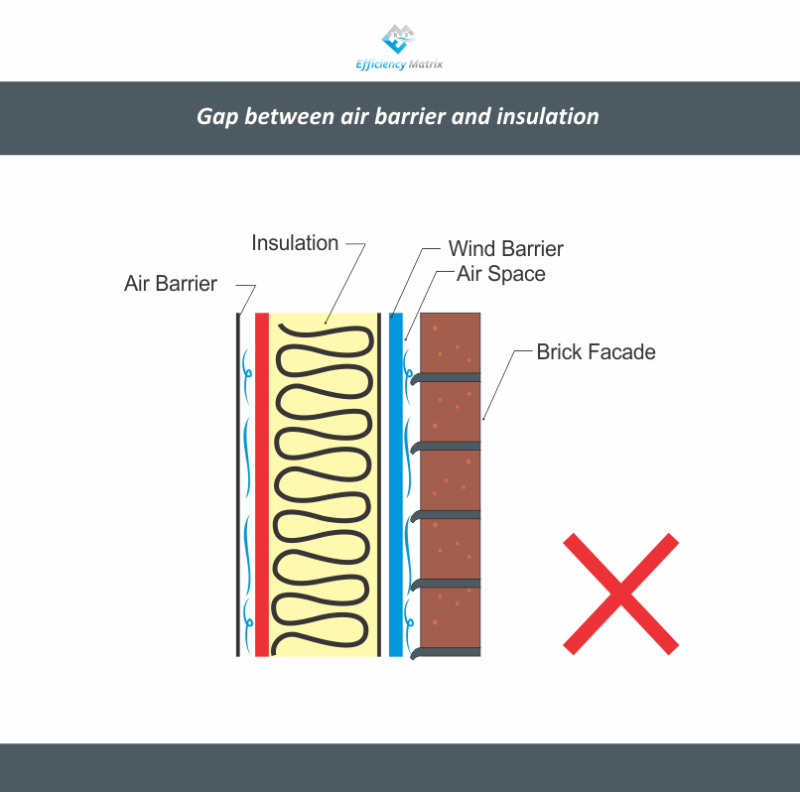 The building envelope permeability rate is a measure of the amount of air that “permeates” through gaps, cracks and large holes in the building envelope when driven by an external force such as the wind, a poorly balanced air conditioning system or the thermal stack effect (Chimney effect). It is expressed in cubic metres of air per hour that passes through each square metre of the building envelope (m3/h/m2). 50Pa of fan pressure from a blower door or multiple blower doors is equivalent to approximately 32km/h winds onto all facades of a building. Give Efficiency Matrix a call, should you have any queries about improving the performance of your building envelope.